11. Rachael Facktor, 12. Jodie Stancill, 14. Fay Cassiday, 15. Jess Morrison. 16. Ruby Bristow. 17. Michelle Stevens. The Owls were looking for a 3rd win on the bounce today against Wakefield whom they had beat 4-0 in an earlier cup win. Manager Dave Higgins had 13 players available with Trotter & Culf still injured. The game kicked off and the Owls took an early 2nd minute lead with a cracking goal from Jess Morrison. Jodie Stancill passed Jess the ball and she hit a 25 yard shot over the stranded keeper. Wakefield did show they were capable of a quick counter when just 2 minutes later they hit a shot wide after some good build up play. Rachel Facktor hit a shot high and wide on 5 minutes before Sophie Eyre made it 2-0 on 6 minutes with a great header from a ball in from the right. 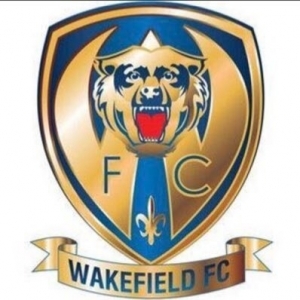 Wakefield did manage two more attempts on goal during the rest of the half with a headed ball wide of goal on 15 minutes and a shot saved comfortably on 37 minutes. Other than those it was a dominating half from the Owls. Channy Rymer shot over on 11 minutes and deserved a goal on the half hour mark after she beat four players dribbling the ball through and watching her curling shot hit the crossbar and bounce down without crossing the goal line. It was 3-0 on 25 minutes after a cross from the right from Demi West was parried into the goal by the goal keeper. Sophie got her 2nd and the Owls 4th on 34 minutes when she shot home from 15 yards after a Demi West cross was controlled by Jess who set up the shot. It was 5-0 and game over just before the break when Emily Higgins was put through by Channy and after holding off two defenders she hit the ball past the approaching keeper. A great first half with just a 10 minute spell where our girls took their eye of the ball but no major complaints and instructions to not get complacent as a clean sheet and game management was the aim for the second period to add to having conceded just once in the last 2 games. Wakefied came out with nothing to lose and it was a tighter half with both teams having equal possession. The opposition hit a long shot wide of goal on 48 minutes before Rachel and Channy both had shots go high and wide. Sophie and Emily could and should have scored when they both had efforts go agonisingly wide of goal before the Owls wrapped up the game on 64 minutes when Jess got her 2nd after great approach work by Rachel and Emily, 6-0. There were more chances for our ladies as the game drew to a close before Emma Otley picked up a loose ball 30 yards out and hit a beuat of a shot right into the top left corner giving the keeper no chance. Well chuffed with not only the result but the clean sheet.In the last 3 games the team has scored 17 goals and conceded only1. Its a shame we couldnt revisit a few of the earlier games this season with the squad we now have available. We still have two injured players but weve managed to keep 11 on the pitch at all times and its made a difference. Our mind set is now to enjoy every game, try and get the 3 points and see where we end up on the last day of the season. Ossett are a decent team and look likley to take the title but after that I think it could be a handfull of teams chasing runners up spot. Next week its another cup game, this time against WSL 2 Sheffield Utd's Reserve team. This will probably be our toughest test of the season so far but we have nothing to lose and everything to gain so we look forward to facing a team full of WSL fringe and academy players.